Many a parent has said this phrase to their children who refuse to eat the cruciferous vegetable. While you would imagine something like that would be a little more universal, it turns out that it isn’t. In the movie Inside Out that Pixar released last year, the main character Riley is faced several times with a plate of broccoli. As this vegetable is not as common everywhere, it has been subject to substitution. For instance, the Japanese version of the movie shows plates of green peppers (which in Japan is more common and takes the place of a “hated vegetable” in the home). Interesting, huh? 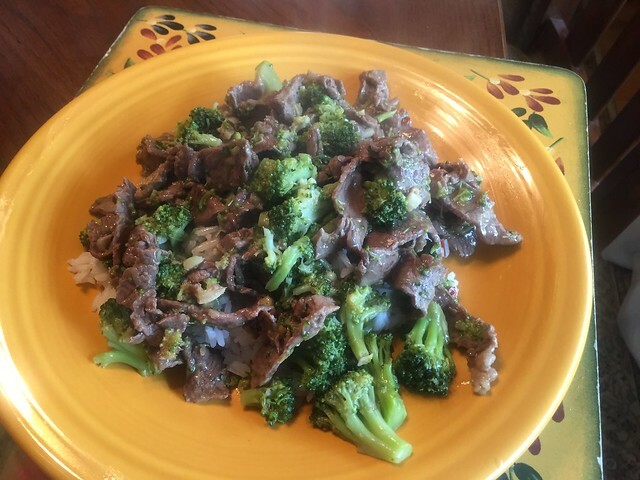 This dish makes great use of broccoli. I used very thinly sliced pieces of beef that I then cut into strips. 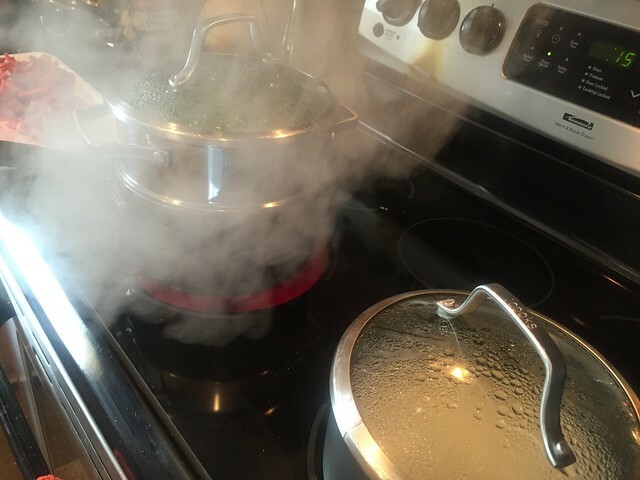 Steaming the broccoli and making some rice. Start with the beef in the wok. 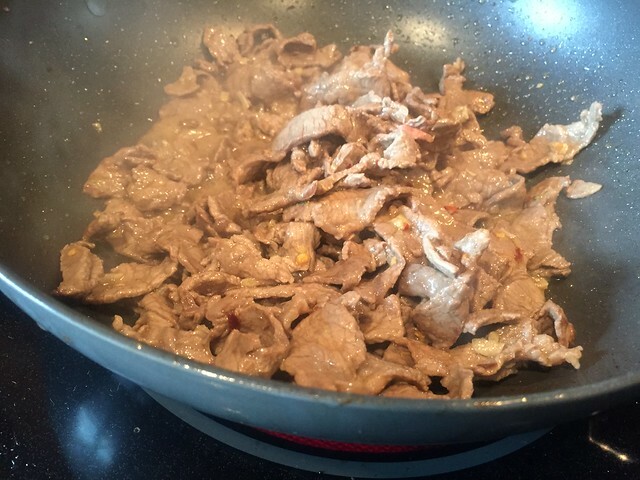 The thin sliced beef cooks really fast in a hot wok. 1. Cut broccoli flowerets into 1 1/2-inch pieces. Peel broccoli stems and cut into 1/4-inch-thick diagonal slices. 2. 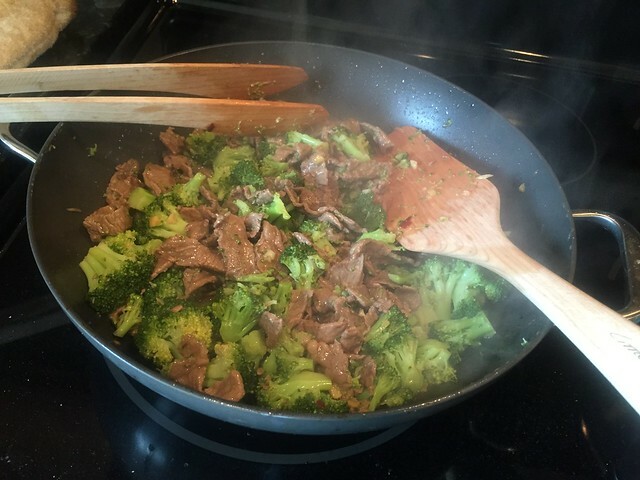 Steam broccoli or in nonstick 12-inch skillet, heat 1/2 inch water to boiling over medium-high heat. 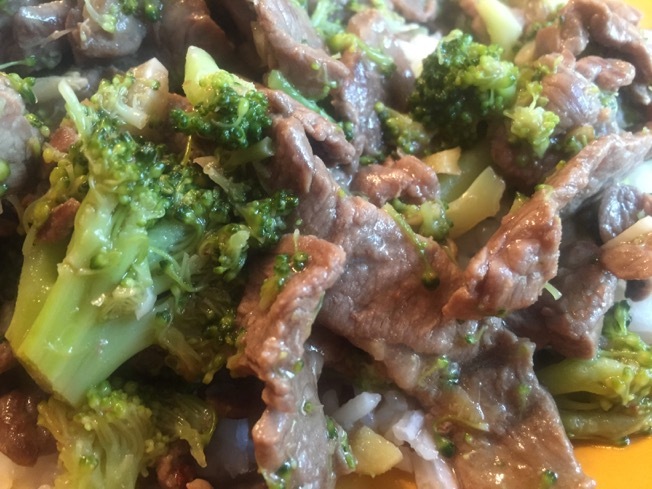 Add broccoli and cook 3 minutes, uncovered, or until tender-crisp. Drain broccoli and set aside. Wipe skillet dry. 3. 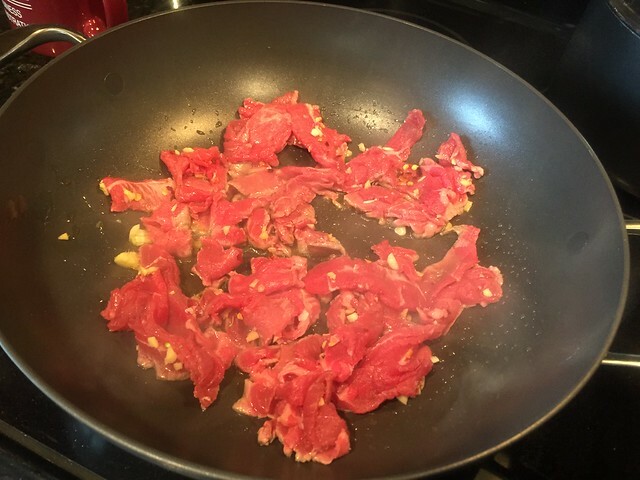 In medium bowl, toss beef with garlic, ginger, and crushed red pepper. Add 1/2 teaspoon olive oil to skillet and heat over medium-high heat until hot but not smoking. Add half of beef mixture and cook 2 minutes or until beef just loses its pink color throughout, stirring quickly and frequently. Transfer beef to plate. Repeat with remaining 1/2 teaspoon olive oil and beef mixture. 4. In cup, mix broth, soy sauce, cornstarch, and sesame oil until blended. Return cooked beef to skillet. Stir in cornstarch mixture; heat to boiling. Cook 1 minute or until sauce thickens slightly, stirring. 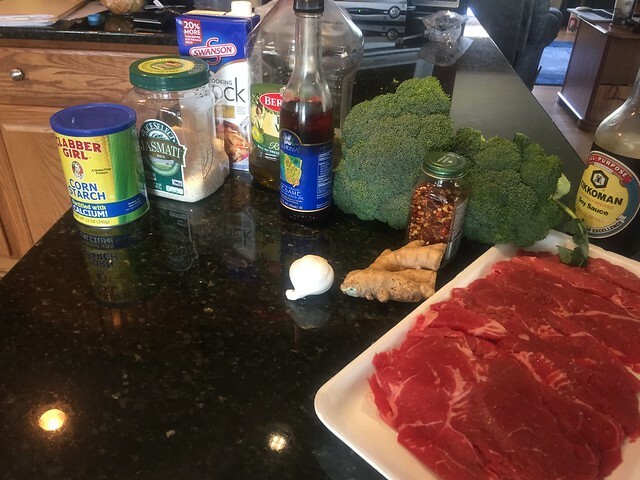 Add broccoli and toss to coat.